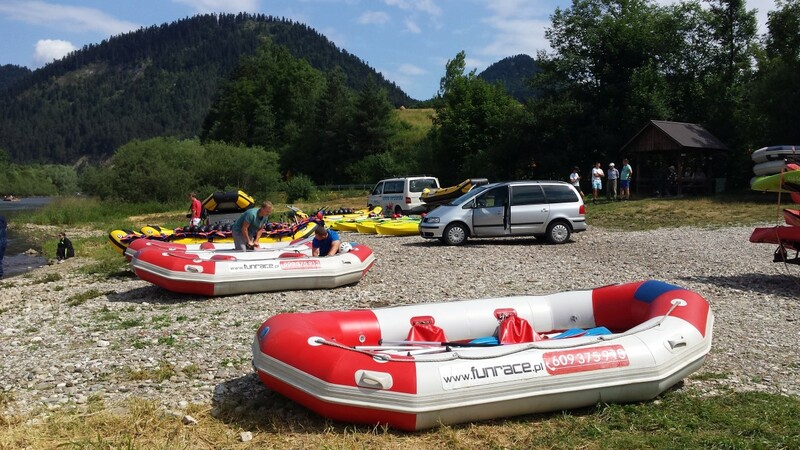 Rafting on the Dunajec river is undoubtedly one of the best ways of visiting the Pieniny National Park. It is a combination of admiring the mountain landscape and an excellent form of relaxation that allows you to escape from the big city noise. In our offer, you will find two options for this trip classic and active. Details and information about the latter are available under the CLASSIC RAFTING tour. 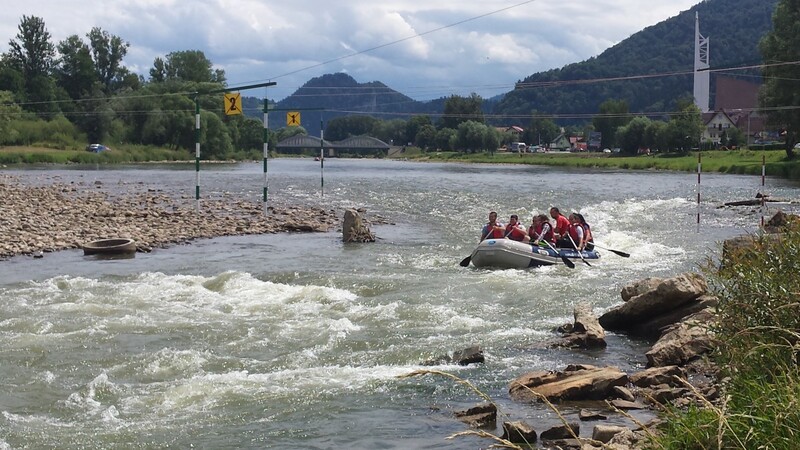 The active version of Dunajec Rafting is undoubtedly an ideal solution for those of you who want to combine exploring the Pieniny landscape with active rest and a dose of adrenaline. Rafting is possible at every level of difficulty, after prior training and equipment with professional gear. Rafting, of course, takes place under the supervision of an instructor. You can choose between canoes and pontoons when making a reservation. The rafting route is about 18 km. It begins in Sromowce Niżne, like the classic version, and ends at Krościenko nad Dunajcem. This attraction is available for individual tourists for a minimum of 2 people or for larger groups, from April 1 to October 31. We offer the Active Dunajec Rafting in the PRIVATE TOUR option. We created this option to satisfy the most demanding of tourists. In addition to choosing the start and end times of the trip, a private comfort-class car with a private driver, the undoubted advantage of this version is the opportunity to visit nearby places such as the castle in Czorsztyn or after the canoeing trip you can spend time in a rope park that will also provide an exciting experience. In this case, we kindly ask you to inform us about the intention to extend this trip in the booking form. Please make a reservation at least one day in advance. 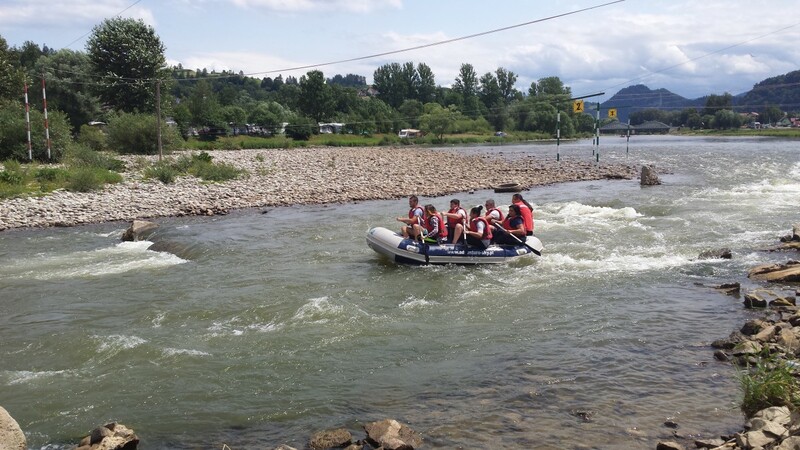 Only then we can guarantee full flexibility due to the ever rising interest in the Dunajec Rafting. The trip is possible every day of the week, regardless of the weather. In case of rain, we provide umbrellas and raincoats. We recommend taking warmer waterproof outerwear and comfortable shoes in case of bad weather. Photographing and filming require no special permit. There is a possibility to order a filming or photo service during the expedition for an additional fee. The trip ends in a rope park which, at an additional charge, can be another attraction of the day - we ask interested parties for such information in the "additional information" of your booking.